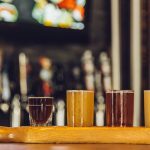 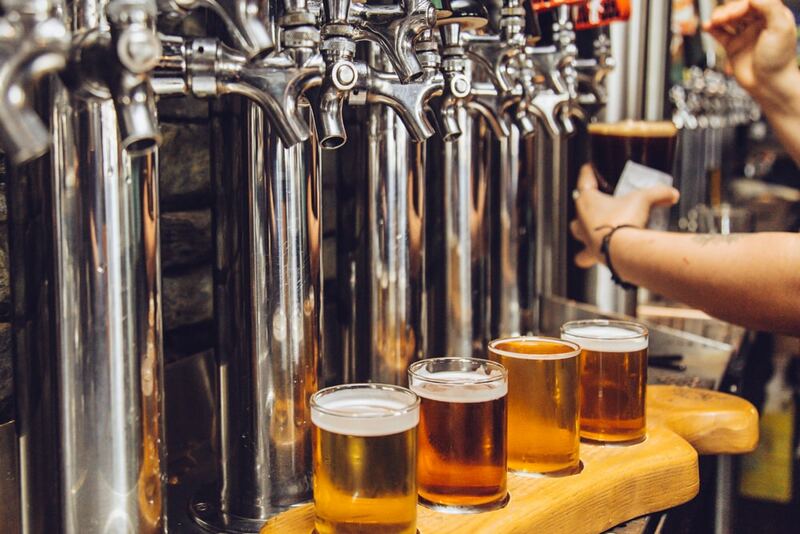 Boasting an ever-changing rotation of 60-plus taps, St. Augustine’s Craft Brew House and Kitchen is the definitive beer-forward establishment ‘On the Drive’. 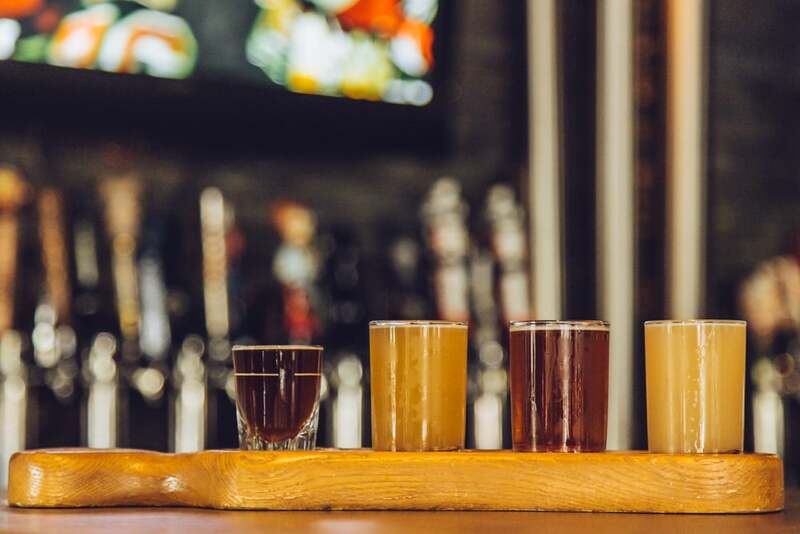 Named after the patron saint of brewers, St. Augustine’s offers a variety of the best beers made in North America and prominently feature a selection of great local taps. 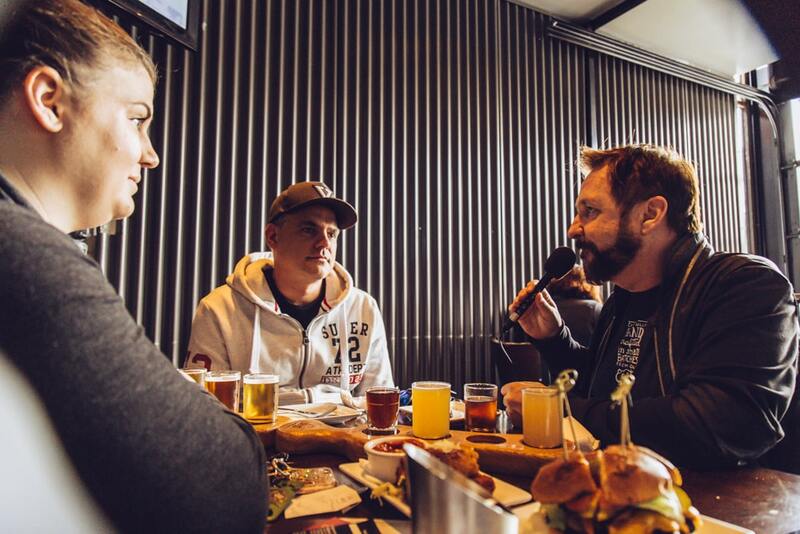 Opened in July 2008 at the inset of the impending craft beer boom, General Manager Caroline Levy says, “Our ownership envisioned a place where they could eat and drink and have a bar that truly represented the beer community while also helping them establish Parallel 49”; of which they are intertwined. 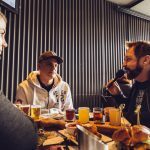 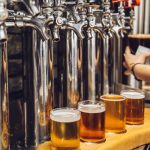 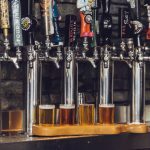 While the local beer boom eventually ratcheted up to ‘11’ around the time of the 2010 Winter Olympics, Craft Beer itself was a bit of a tough go just a couple of years prior. 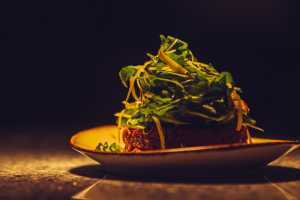 Borrowing further on that whole St. Augustine’s theme, one can’t help but recall another biblical reference in the Matthew 4:4 passage, “Man shall not live by bread alone”. 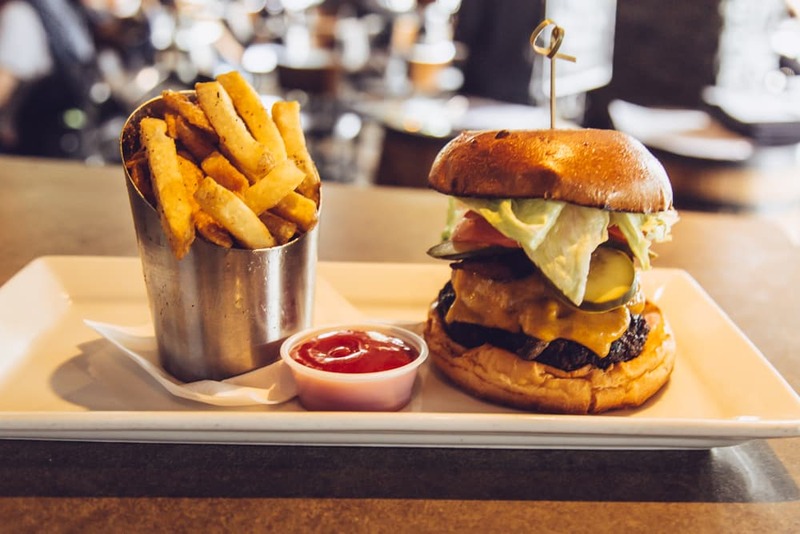 As proof, the kitchen side of St. Augustine’s is something to seriously partake in. 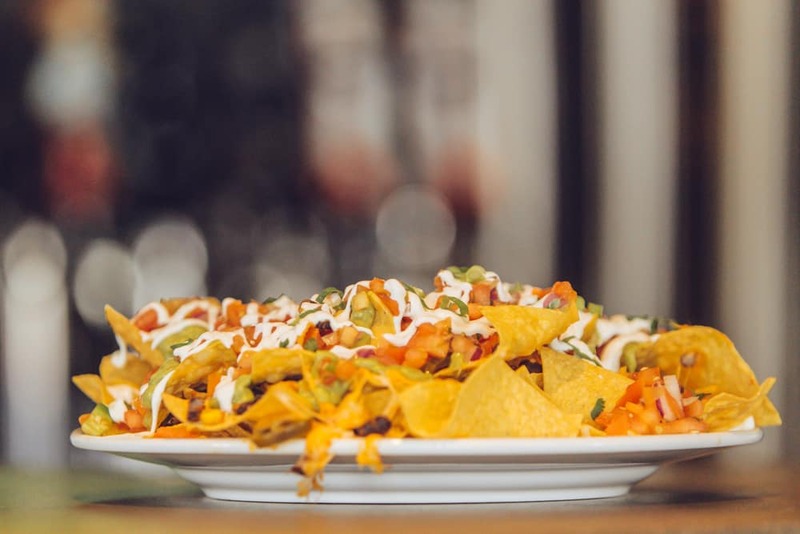 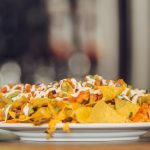 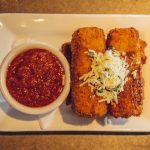 Be it snacks and shared plates such as wings, nachos, pizzas or calamari, St. Augustine’s has something for every taste, and at some of the most reasonable prices to boot. 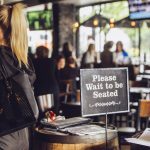 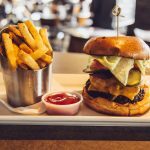 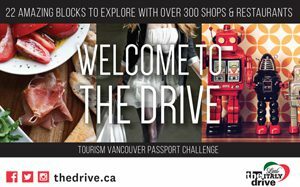 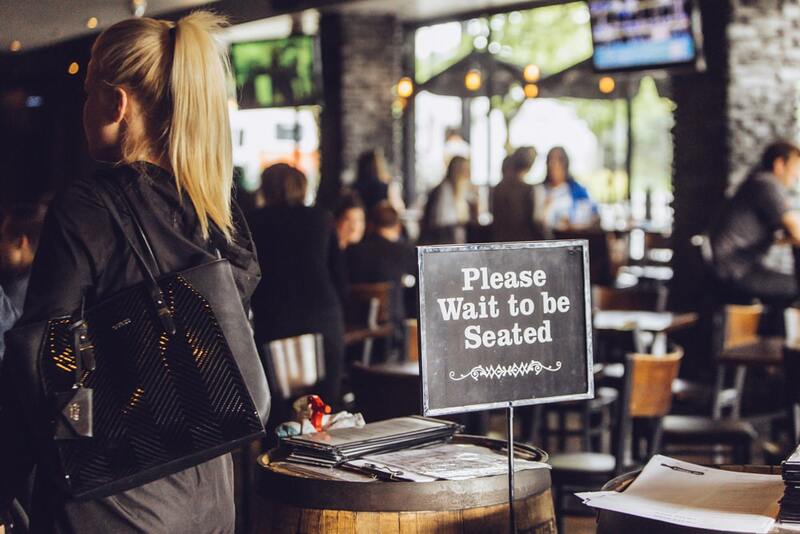 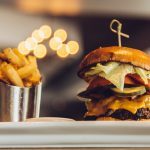 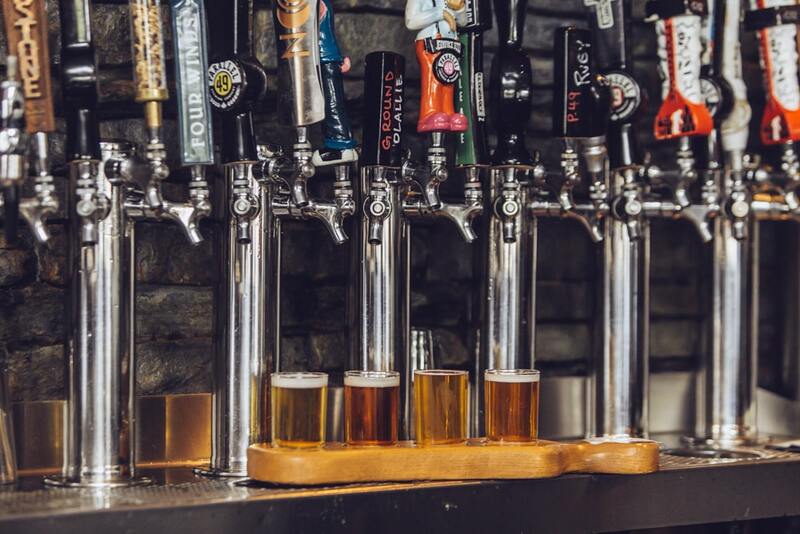 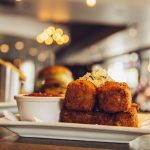 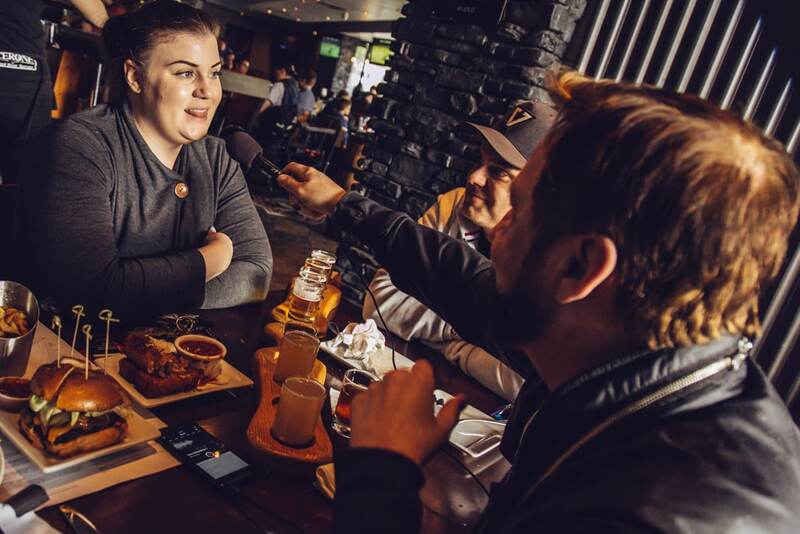 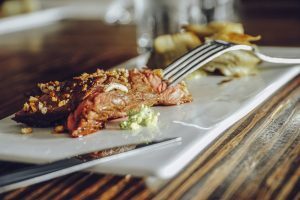 Located just one block north of the Broadway/Commercial Skytrain Station, it’s likely the most beer and food-friendly spot you’ll find ‘On the Drive’. 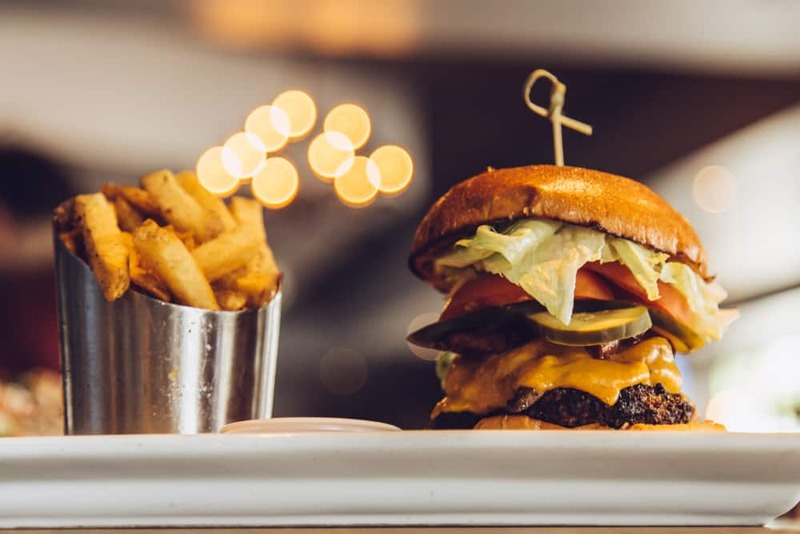 The Burger: Half-pound fresh beef patty, sautéed mushrooms, cured bacon, apple wood cheddar, iceberg lettuce, tomato, pickled onion, dill pickle, caramelized onion-miso aioli. 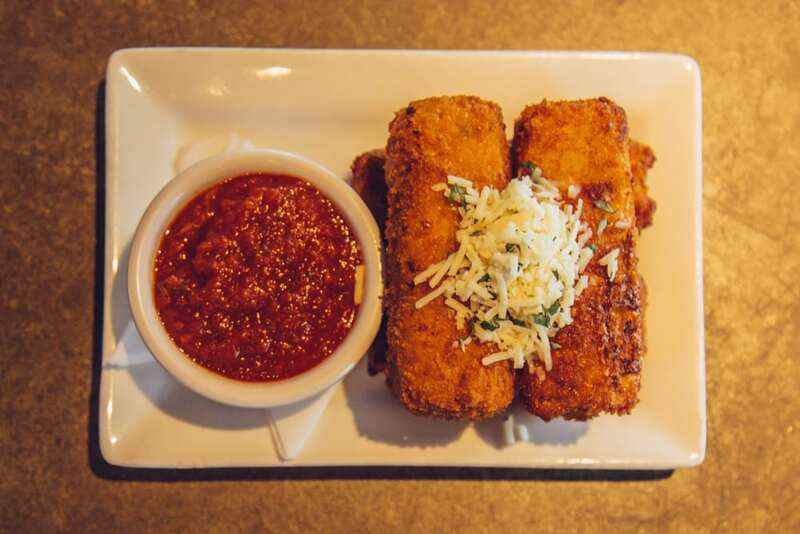 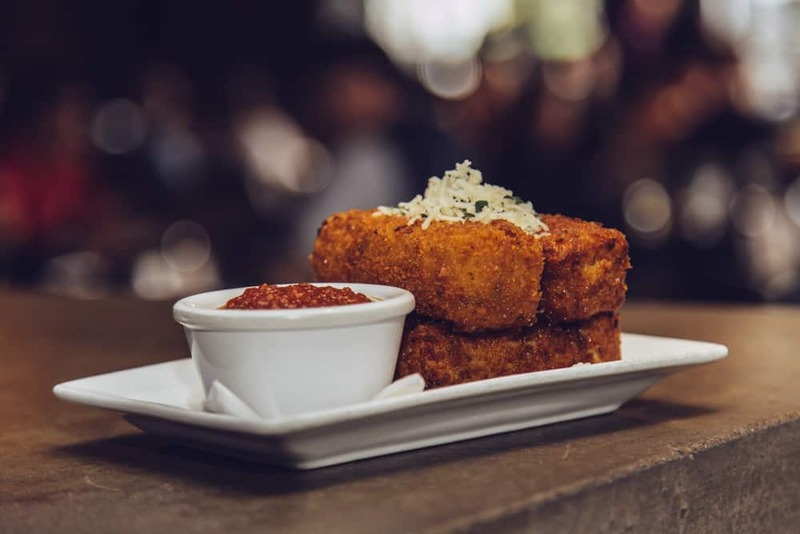 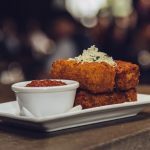 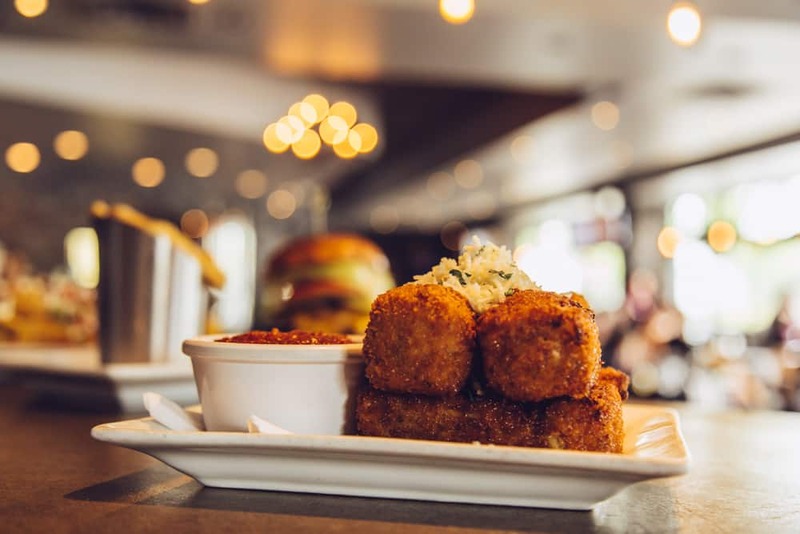 Mac & Cheese Croquettes: Panko-encrusted, parsley, parmesan, jalapenos, chipotle tomato fondue. 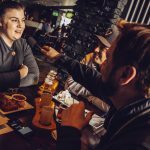 Next Next post: East Van Inc. – East Van history meets tattoos, art and swag.